It wasn’t pretty but it didn’t matter! Devon Petersen is through to the 2nd Round at the World Championship and an all Unicorn showdown with Ian White. The South African, who has endured a tough year on the tour, found a a way to win three sets to two after a nail-biter against Wayne Jones. The Unicorn ace looked to be coasting as he raced into a two set lead. But after missing two darts to hold throw at the start of set three, it gave his opponent the chance he’d been looking for. Jones won that third set without reply and despite a 120 finish from Devon, he lost set four in a deciding leg. So it all came down to one set of darts. Petersen hit another 120 check-out as four legs all went with throw. Then the real drama kicked in. Devon missed three darts at ‘tops’ for the match. Jones then blew three match darts. Petersen came back and missed three more! Jones returned but missed three at D5 to win and with his 8th match dart, the Unicorn man nailed D2 and cue the celebrations. And this win takes him a step closer to retaining that prized PDC Tour Card. “For many reasons this is one of the best wins of my career,” he admitted. “I have never given up but it has been very hard." But a big big win for Devon. It should be some game against White on Friday night. 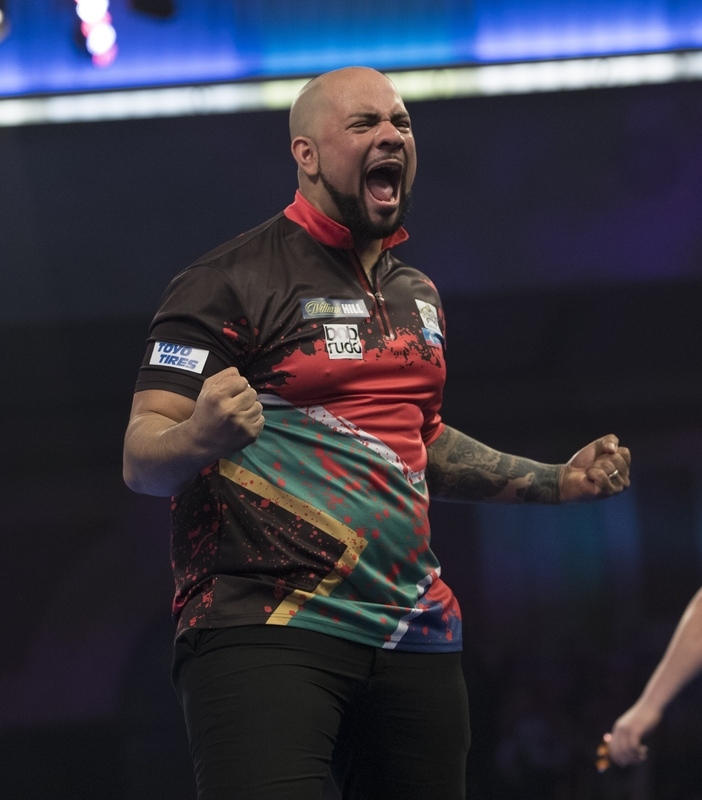 Elsewhere on a dramatic Monday night Raymond van Barneveld was stunned 3-2 in round two by Lithuanian Darius Labanauskas.